Hey folks! Hope you are having a great weekend! I am not normally around here in Sundays but you will start to see a little bit more of me! 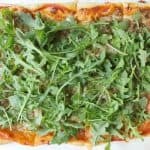 I am joining Sunday Supper Movement which is something where a bunch of bloggers get together and really promote sitting around the table on Sundays or anyway of the week and have family time. We bring you recipes to inspire you to do this! 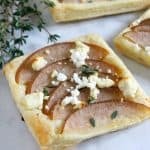 This week we are focusing on Big Game Day Party Recipes! Don’t forget to scroll to the bottom to check out all of the recipes we made you this week! Let’s talk about dip shall we? I don’t have too many here on the blog except this salsa. My family loves to eat them. 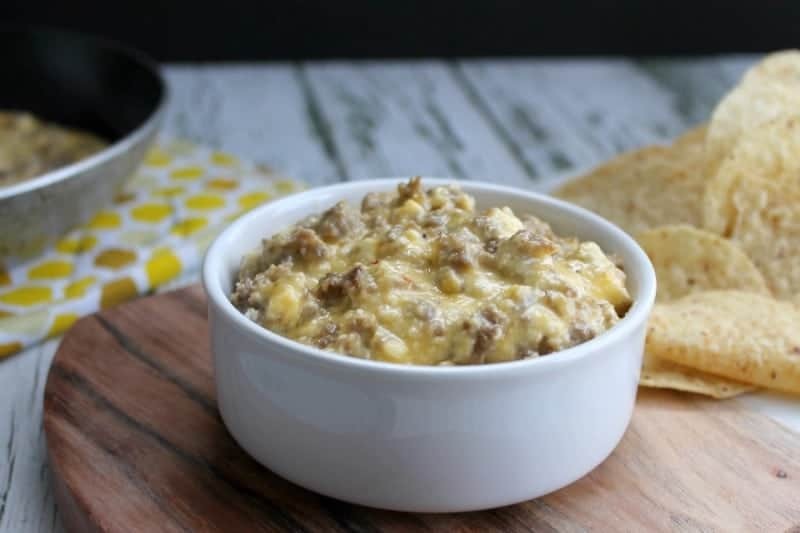 I remember growing up my mom would always made this kind of sausage dip and we would literally tear into it when it was ready. I decided to make this one a little different than my moms. I wanted to go super simple but with great flavor! This is also a one pan dish! I cooked my sausage. While it was draining I simply wiped out the grease from the pan and added my cheese. When it was melted I added my sausage back in and bingo! It’s done in 20 minutes! ENJOY! In a medium size pan cook sausage about 8 minutes. When done drain and set aside. Add cheeses to pan and melt about 8 minutes. Stir in sausage and allow to continue to cook for 2 minutes. This would be a hit at our house! I need this dip in my life! Now this screams FOOTBALL!!! Perfect!!!!!!!!! Looks wonderful, I would dive right in!! This looks so delicious! And only 3 ingredients! Love it! 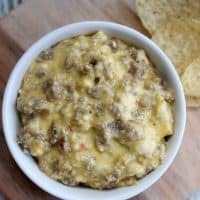 Hi Nancy, my husband would go crazy for this dip, looks delicious! We sometimes make a meal out of chips & dip. Does it matter what kind of sausage you use (breakfast, Italian)? It looks great! I used pork sausage but I am sure you could use any. Breakfast sausage will give it a little different flavor to it. Italian could add a little heat to it if you use hot! Sausage and cheese? How could this be anything less than spectacular??? We make something similar but with added cream cheese. It’s called dog food dip for good reason, hahaha. One of those little slow cookers works well to keep it melty. This looks AMAZING! Totally needs to be on my menu for the Super Bowl! Yum!!! 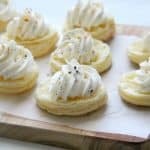 Looks delicious & easy to make!! Perfect recipe. Easy peasy and delicious. Well shoot, I could make this! It sounds amazing! Crazy yum! Why yes you could! It’s too easy! 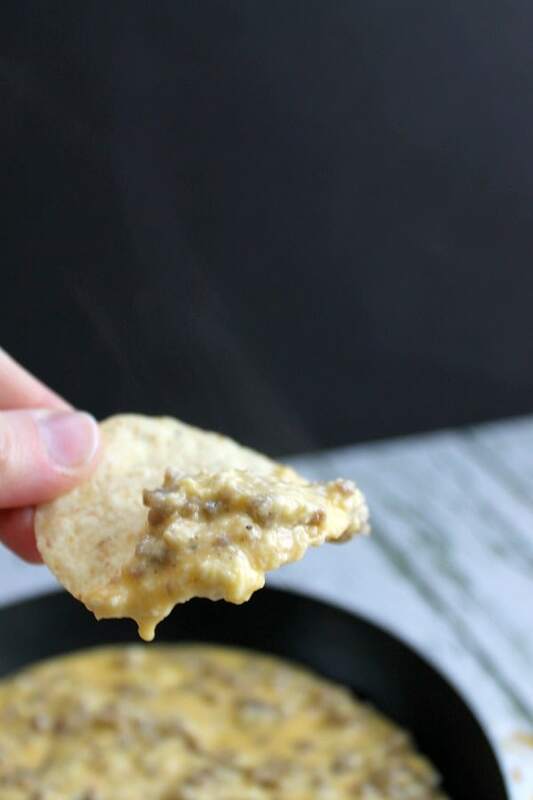 Simple and delicious – my kind of dip! I feel the same way! Thank you Lauren! Cheese and sausage is a great combination! My mouth is watering. I loooove cheese & sausage. Thanks for sharing! Hi Nancy! Yes, please! Perfect for a football game this weekend! Yum! Thanks for sharing at Dishing It & Digging It! I look forward to seeing more of your creativity this year! 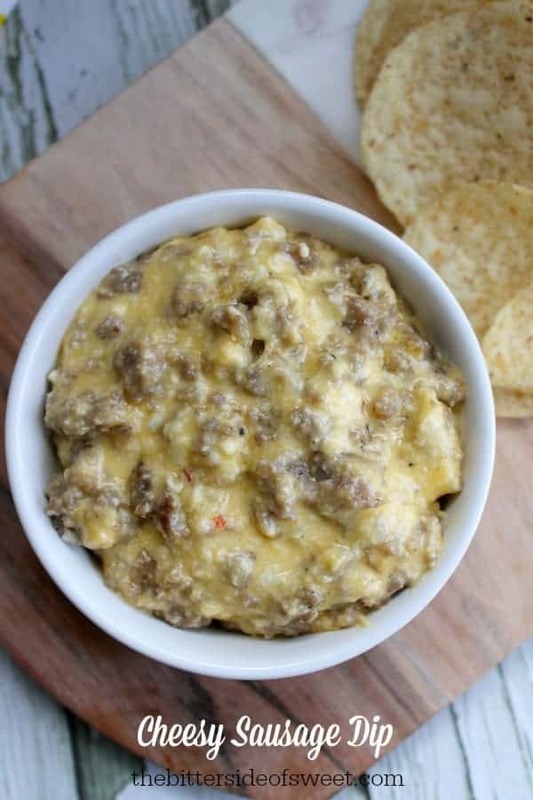 We will love your Cheesy Sausage Dip looks fantastic! 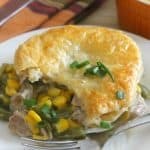 Hope you are having a great week and thanks so much for sharing your awesome post with us at Full Plate Thursday. We look forward to seeing you again real soon! Oh, I just love simple, hearty dips like this. I’ll be making this on game day for sure!